Clients can avail from us an extensive range of Kodak Digital Camera that is extensively in demand by the photographers for unparalleled results and graphic prints. 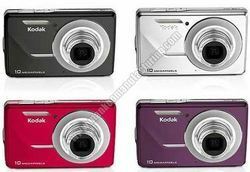 The Kodak Digital Cameras are superior in quality and available in diverse models. We take utmost care to source Kodak EASYSHARE Z710 7.1 MP Digital Camera from highly noteworthy dealers and market them at competitive price. 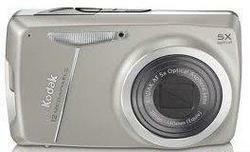 Professionals prepare these Kodak FZ41 Digital Camera very keenly using best and quality checked components. Offered cameras have damage free nature and availability in the market in various technical specifications. These cameras are reliable and superior in quality. 10. 3 mega pixel for prints up to 30 × 40 in. Popular Tech Media (India) Pvt. Ltd.